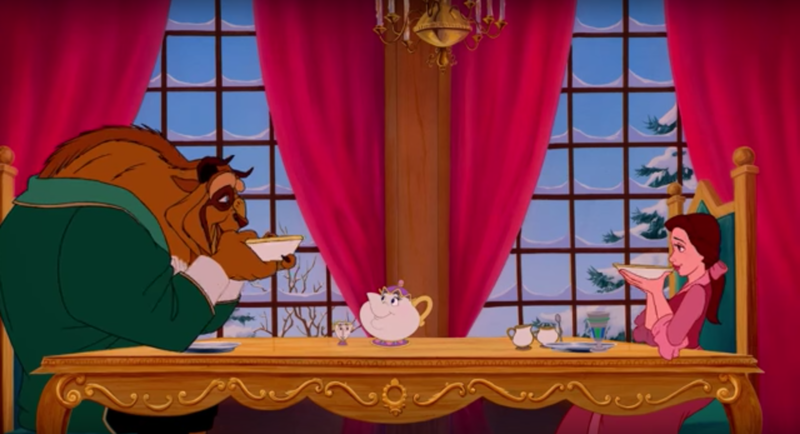 My God, have you seen the Beauty and the Beast trailer? I mean the new one with Emma Watson ? It’s impossible to not adore — the mythic music, the incredible effects and— how faithful it is to the animated original from the 90’s. Almost slavishly so. We lined them up together below, check it out. 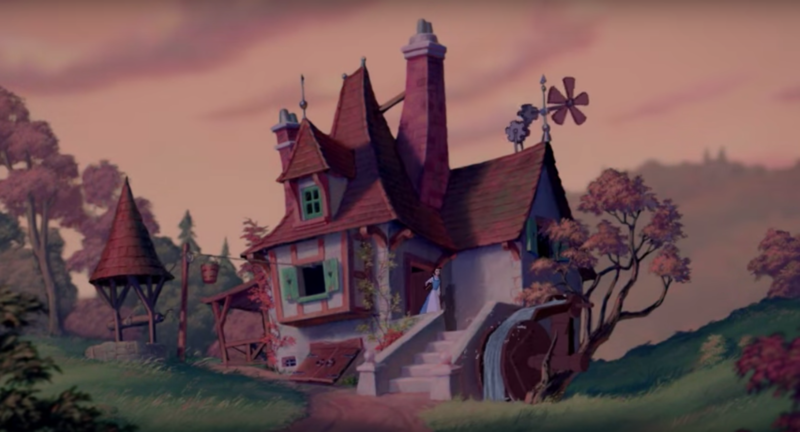 Some shorts are a mirror of the original— such as the ones from Belle, including Belle leaving her house, wishing from adventure in the open field and holding a book to her face as the entire town sings for her. 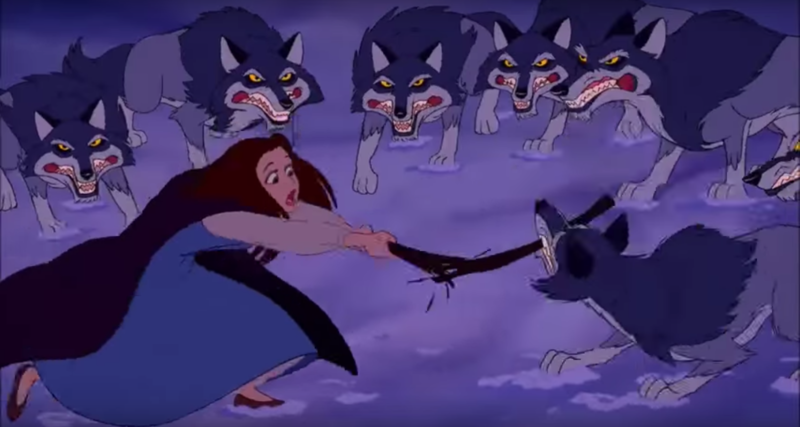 Another example of this is when the Beast fights off the wolves. 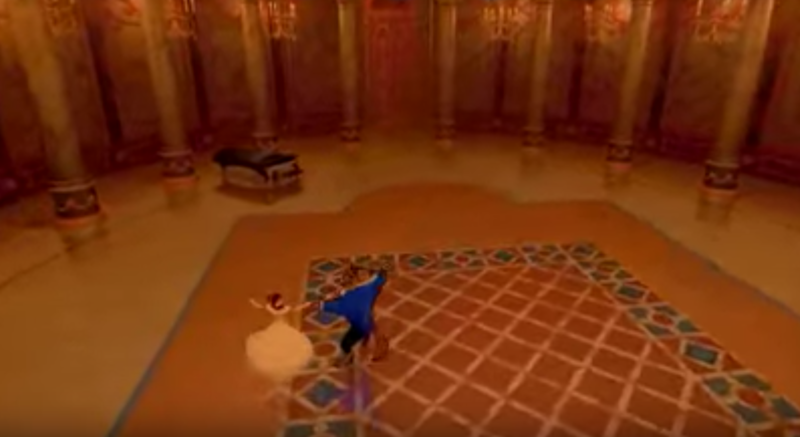 Some borrow the same scenery and color scheme — such as the scene when Belle and the Beast cavort in the snow. Some are a mixture of both— repeating poses, repeating scenery and repeating moods. 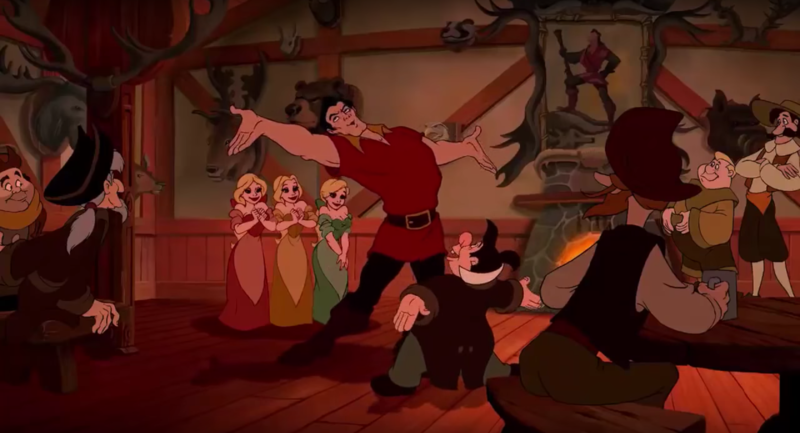 Check out for example the scene in the bar with Gaston and LeFou, it’s right out of the song Gaston! 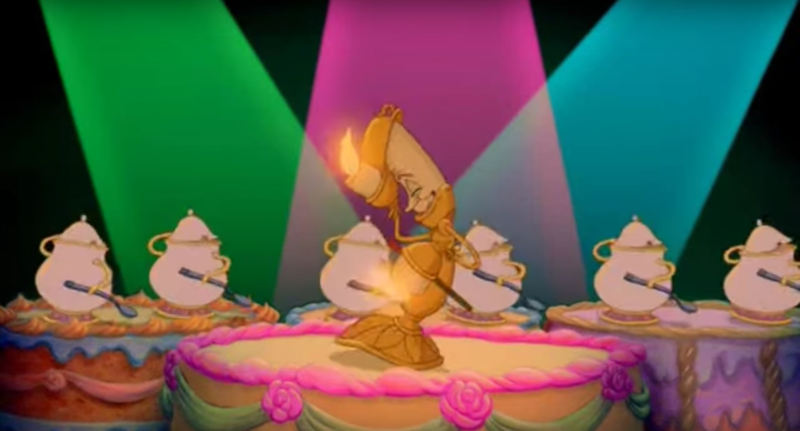 Or The Mob Song (aka “Kill the Beast”), or when The Beast and Belle sip together from bowls. It’s a sweet and beautiful movie, and it’s exciting to see the a new generation discover it, and for us older Disney dorks to rediscover it.